The ear is one of the most sensitive organs in the human body. It converts minimal mechanical pressure fluctuations into electrochemical energy and transmits this to the brain in the form of nerve impulses. In this way, the ear warns us of danger, enables us to communicate and helps us with spatial orientation. 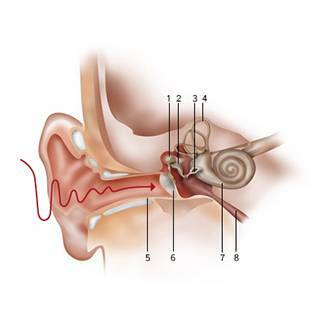 The human hearing system enables us to perceive pressure fluctuations in the air as tone or noise. These types of vibrations are referred to as sound. When the eardrum is hit by sound waves, their movements are transmitted to the cochlea through the auditory ossicles known as the hammer, anvil and stirrup. The cochlea is a coiled part of the inner ear, a pea-sized structure which contains around 25,000 tiny sensory hairs suspended in fluid. These sensory hairs convert sound vibrations into bioelectric signals in the cochlea. In this way, sound waves are converted into sounds of the sea, language or symphonies. The closer the pressure fluctuations in terms of time, the higher the tone perceived. The frequency of these fluctuations (fluctuations per second) is measured in hertz (Hz). 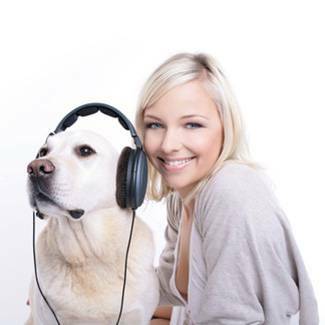 The human range of hearing lies between 16 Hz and 16,000 Hz, but some animals can hear sounds at frequencies of up to 100,000 Hz. In addition to frequency, sound pressure is also a significant factor. Sound pressure is measured in decibels (dB). The higher the number of decibels, the louder the noise. If a sound measurement is given in dB A, this is an A-weighted value that attempts to represent the volume as it is heard, taking the sensitivity of the human ear into account. A difference of 3 dB is barely noticeable, although in a physical sense, it means as much as double the sound intensity. A difference of 10 dB therefore means ten times the sound intensity, even though we only perceive the sound in question to be twice as loud.